My company, Switchfly have events called FedEx days, which basically means we set aside 24 hours for employees to work on whatever project they wanted given that it provides some business value to our application. 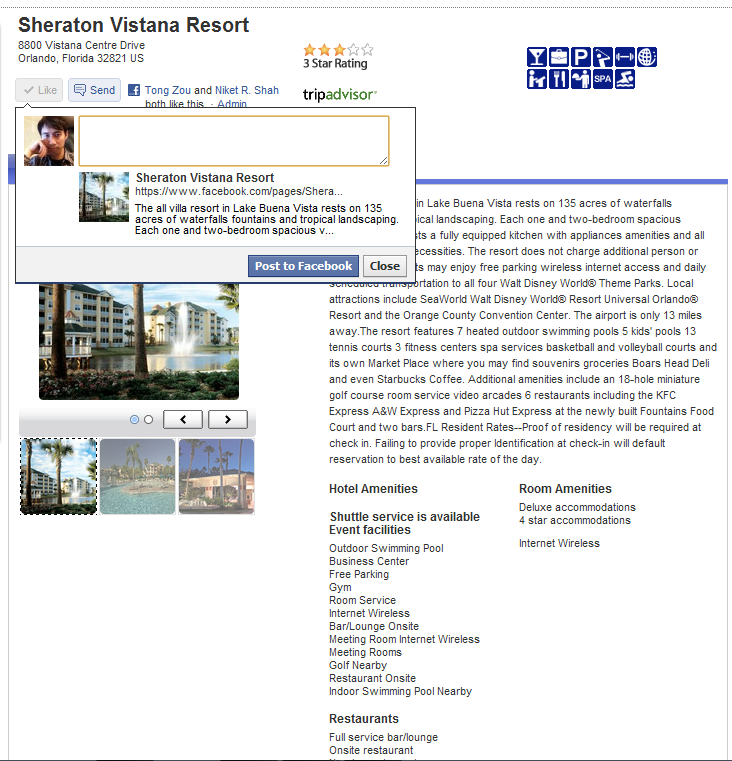 So, I joined with a few other engineers and business people to create Facebook sharing and liking for hotels and itineraries. So, after 24 hours of toiling, we had a few mockups to present. 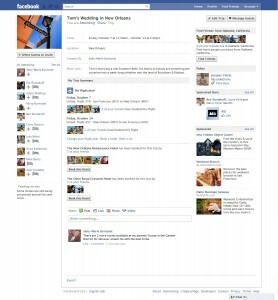 This will share this hotel or send your friends a message telling them what hotel you are looking at. 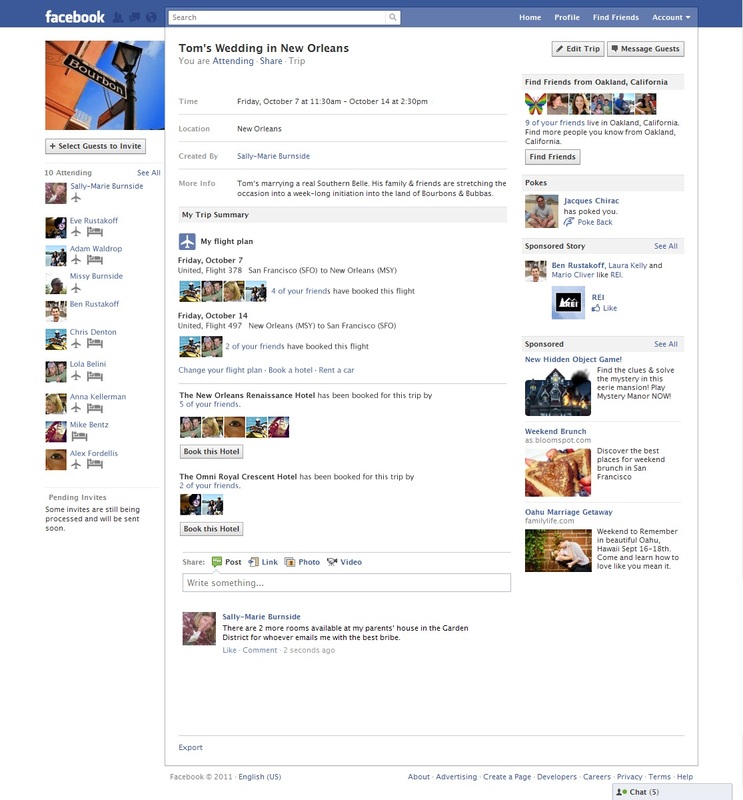 Basically, we want to be able to make custom objects and custom actions using Graph API to post information about your itinerary to your friends. You can see what friends are on your flight, and change your flight plan, book a hotel, change a reservation, or rent a car using the post. Anyways, for 24 hours, building these two proof of concepts have been pretty fun, and I someday hope to implement these features in full. 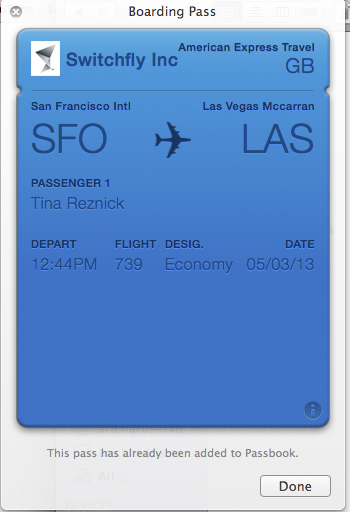 For Fedex day 2, we decided to make Passbook integration for our itineraries. I was the only engineer on this project this time around (and again toiled for 24 hours). So, Passbook is an Apple application, and in order to integrate with Passbook, you need to be an Apple dev with provisioning to generate a Passbook id for integration. This part was kind of confusing because of the way how certificates and certificate requests were set up. 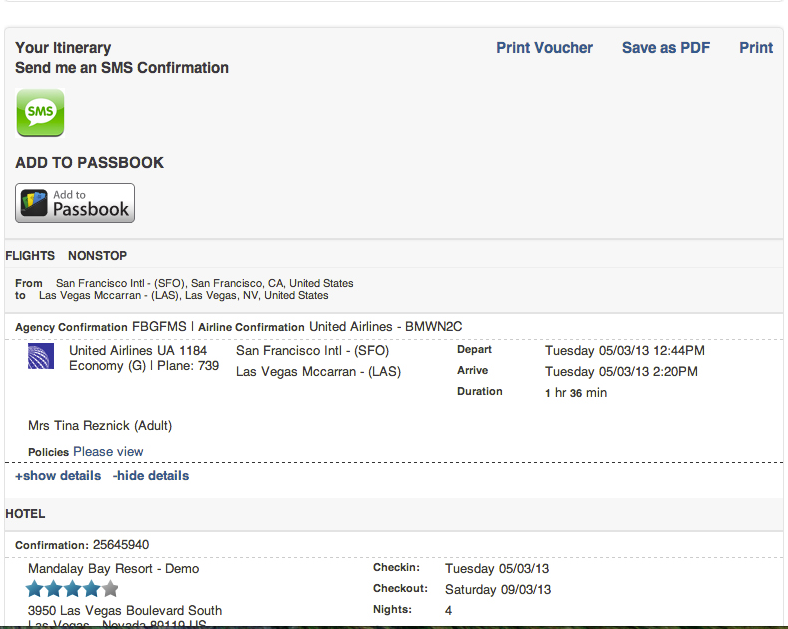 But after looking at the Passbook documentation, I managed to generate some sample passes for our app. 1) Passbook only contains limited space on the front. Doesn’t even have enough room to put a roundtrip flight, let alone flight + hotel. 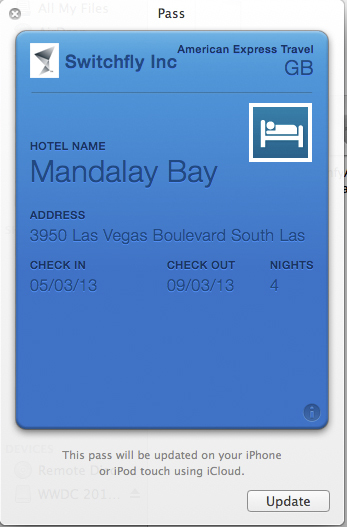 2) Each passbook needs to be signed by a certificate which has a keystore and a password from somewhere on the server. 3) Our context and encoding filters prevent .pkpass from being distributed. 4) Even if it was working, only Mac OS and iOS users would be able to make use of it (via email or Safari). 5) Not sure how I could get the SSL Handshake with Apple’s restrictions working. So because of these issues, not sure if this will make it to prod, but it was a good learning experience nonetheless.